I used to laugh at photos on the Internet of tiny fingers underneath the bathroom door. That will NEVER happen to me I thought. The first few weeks of my maternity leave, I was super paranoid of leaving Hannah alone to use the washroom, so I'd put her in her little Fisher-Price chair right at the bathroom door while I was using the facilities. Now that I have a 3-year-old, privacy is a thing of the past - unless she's not at home or she's asleep. Now I have an audience outside the door - always. "Mommy, what are you doing? Are you peeing? Are you putting contacts on? Are you brushing your hair? Your hair is pretty, Mommy." I'm sure every parent can relate. It's easy to let the little things escape you when your child is a priority - even forcing themselves to be one in the place you should really be able to have a few minutes alone. That's why I love the new Pantene Pro-V Full & Strong Shampoo and Pantene Pro-V Full & Strong Conditioner. The shower is the only place where I get to be alone. The sounds of the water drown out any questions from my little one...I can relax and enjoy the few minutes I have to myself...and while I do so my hair get high intensity strength and natural fullness. The shampoo features anti-oxidant technology and is damage defying, while the conditioner helps reinforce strands at the core of the hair, leaving me with full hair instead of my natural flat. I'm more of a lip gloss girl, but I really like the light shade of COVERGIRL Colorlicious Lipstick Caramel Kiss. It has Shea, Avocado and Aloe butter enriched formula - which makes it apply smoothly and fight against dry winter lips. The line comes in 36 shades so if you want your lips to stand out, you can. Every few years I like to use Crest White Strips to keep my teeth white and bright. The latest Crest 3D White Whitestripes LUXE Supreme Flexfit are more comfortable than ever before as custom fit your smile. By entering the following contest you are accepting that if you win your contact information will be shared with a P&G PR and shipping agency for the purpose of mailing your prize. Please allow 4-6 weeks from the contest closure date to receive your prize. This giveaway may appear on other blogs as part of the #PGmom program. However, to be fair, you can only win once per giveaway. If your name is chosen more than once, another winner will be selected. All winners must be from within Canada excluding Quebec. Valid entries only. Contest ends March 9th, 2015. For further contest rules, refer to the Terms and Conditions within the Rafflecopter. The covergirl Colourlicious lipstick in caramel kiss! I am most excited to try the COVERGIRL Colorlicious Lipsticks. I would use the Tantalize first. I'm interested in trying the COVERGIRL Colorlicious Lipstick (Caramel Kiss). I'd like to try the Pantene Pro-V Full & Strong shampoo and conditioner the most and see how it compares to my current shampoo. I'm most excited to try the Powerfull body booster spray. I'm most excited to try the COVERGIRL Colorlicious Lipstick (Caramel Kiss). I would like to try the Pantene Pro-V PowerFULL Body Booster Spray. Pantene Pro-V PowerFULL Body Booster Spray is what I want to try first! I would like to try the Pantene ProV Full and Strong Shampoo. My wife is excited to try COVERGIRL Colorlicious Lipstick (Tantalize) and I'm excited for the white strips. I'm interested in trying the COVERGIRL Colorlicious Lipstick in succulent cherry. the Pantene Body Booster spray sounds pretty cool - i can't wait to try that! I love Pantene products!! I'm most excited to try the COVERGIRL Colorlicious Lipstick (Tantalize). 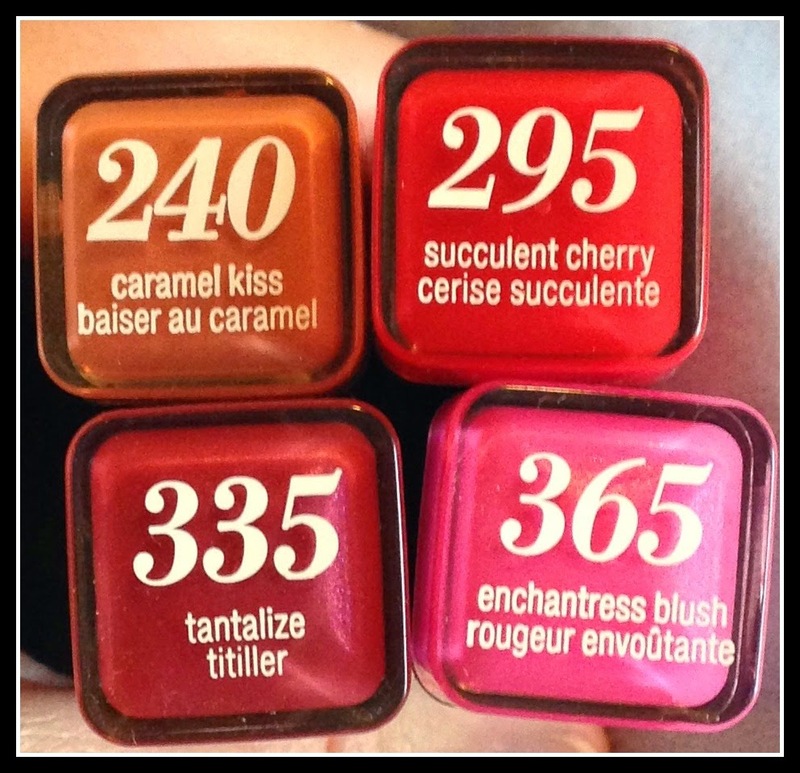 COVERGIRL Colorlicious Lipsticks in Tantalize! I'm most excited to try: Pantene Pro-V Power Up Daily Treatment. 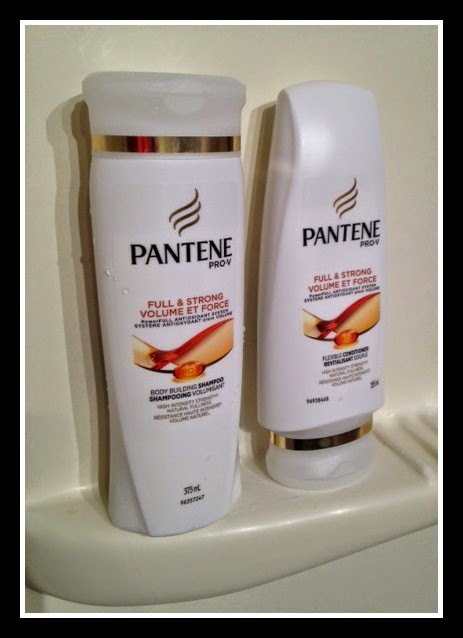 The Pantene Pro-V Full & Strong Shampoo & Conditioner as I love trying new ones for my hair! Essential to my daily beauty regiment Mascara/Eye Liner/Eyeshadow. Creature of habit, never been one to wear lipstick. Year 2015 - year of change. Would love to try the COVERGIRL Colorlicious Lipstick Caramel Kiss...might start a trend. Tomboy turned Lady. I would like to try the Cover Girl lipsticks. Excited to try the Pantene Pro-V shampoo! Love to try the Pantene Pro-V Power Up Daily Treatment. Would love to try that power up daily treatment, I just love trying good stuff for my hair! I'm entering to hopefully win this for my girlfriend, i'm sure she'll love to try it all! I'm most excited to try the Crest 3D White Whitstrips Luxe Supreme FlexFit. I'd love to try the Whitestrips, I hear great things! Most excited about the COVERGIRL Colorlicious Lipstick! !